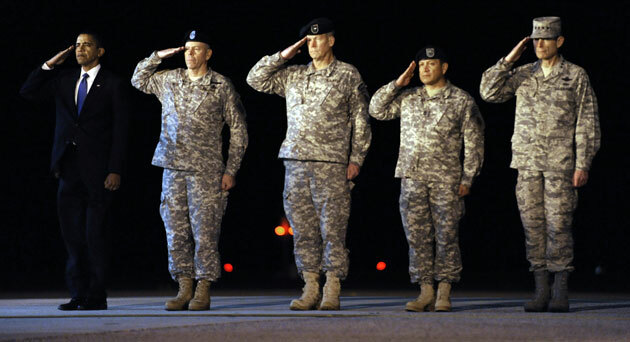 US President Barack Obama salutes as he disembarks from Air Force One at the Andrews Air Force Base in Maryland on April 20, 2010 upon his return from Los Angeles, California. President Barack Obama salutes as he steps off Air Force One as he arrives at Andrews Air Force Base, Md. , Tuesday, April 20, 2010. US President Barack Obama arrives to board Air Force One at the Adrews Air Force Base in Maryland on April 19, 2010 for departure to Los Angeles, California, to attend at a fundraising reception for Senator Barbara Boxer and the DNC. WASHINGTON – APRIL 20: U.S. President Barack Obama (R) salutes a U.S. Marine he returns to the White House April 20, 2010 in Washington, DC. Obama was returning from a trip to California. 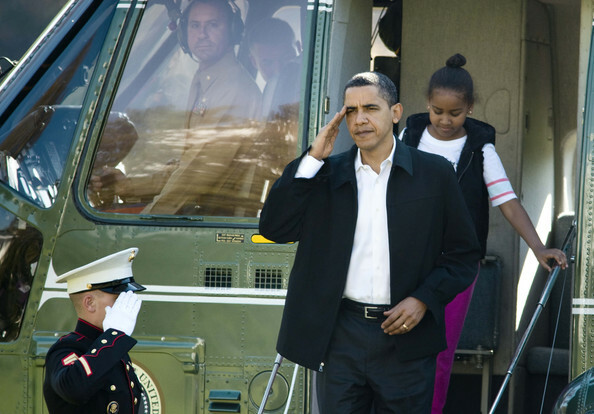 US President Barack Obama salutes as he is followed by his daughter Sasha as they walk off Marine One to the White House November 8, 2009 in Washington, DC. The Obamas were returning from spending the night at Camp David.